is non-standard; see Remarks above. 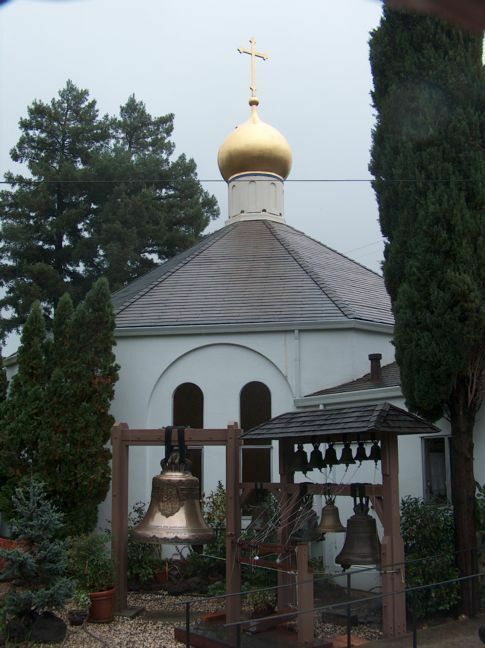 The church Website includes a photo page about the dedication of the largest bell ("blagovestnik") in Nov.2003, and a sound clip (reached from the About / History page). 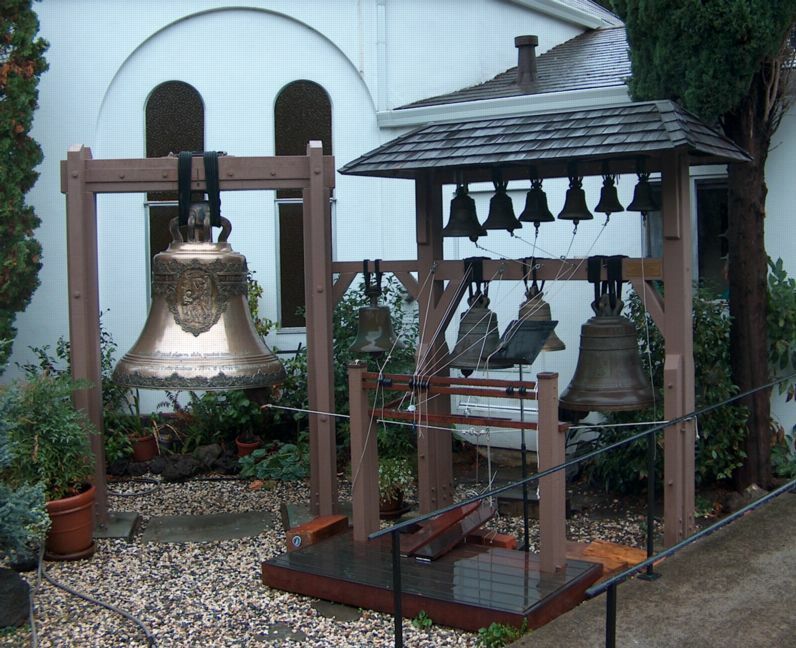 Recent photos of church with zvon (56KB) and zvon details (114KB), provided by Mark Galperin of www.russianbells.com, showing the current configuration of the bell frames. Where the majority of this work lies in the sequence of output of miscellaneous bellfoundries, in this region and in the world. Index to North American zvons.